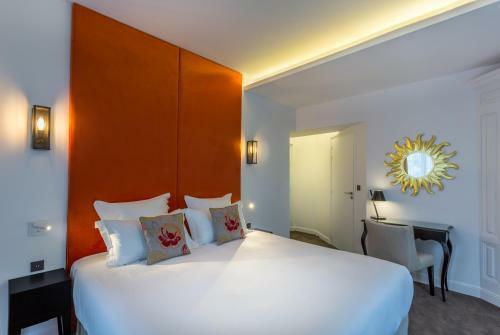 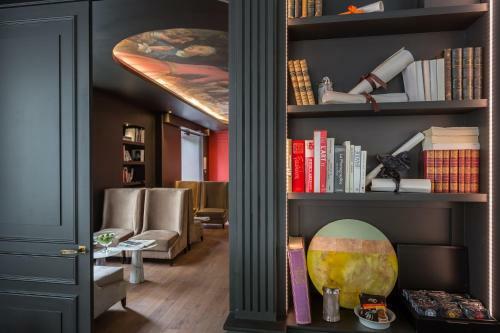 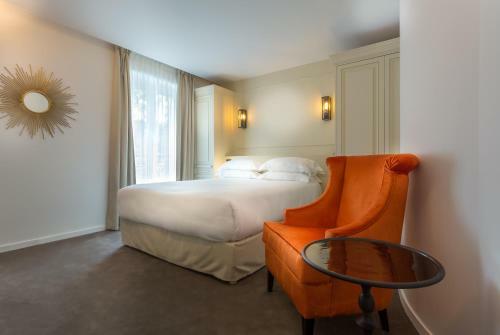 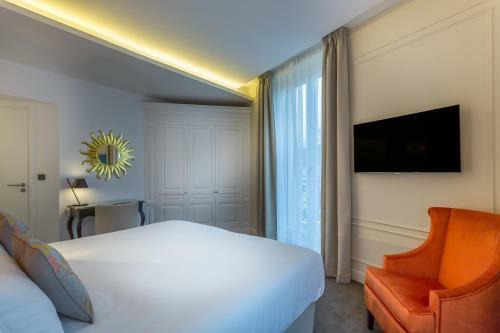 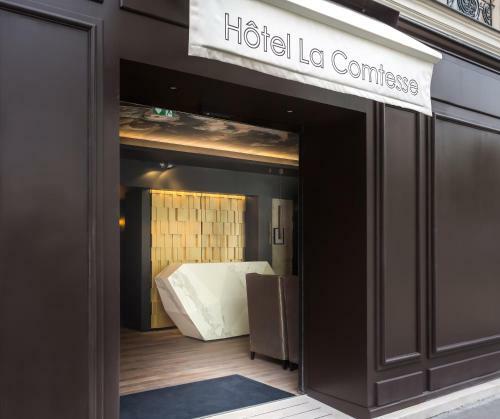 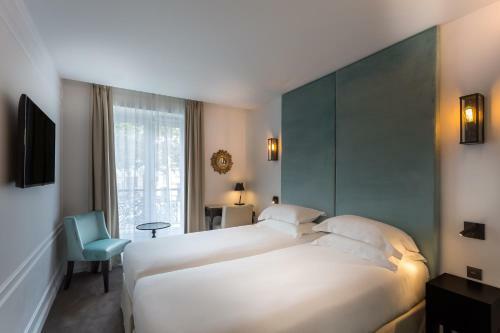 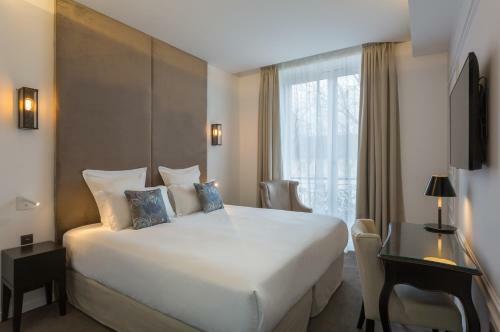 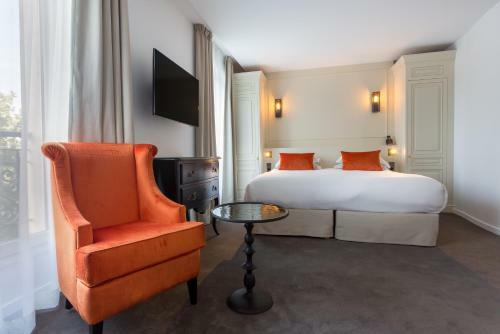 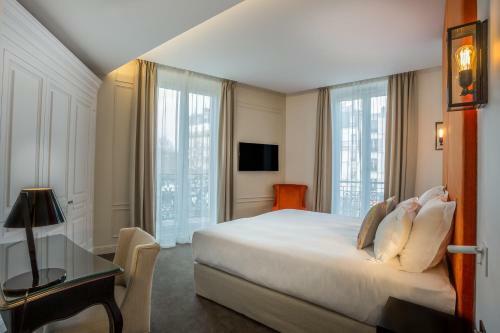 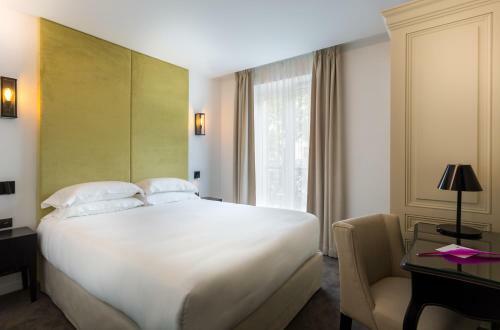 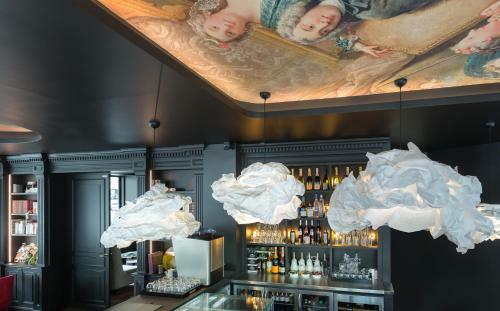 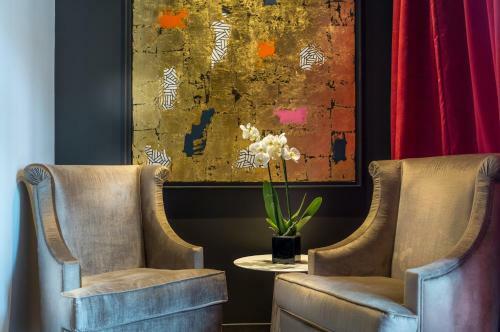 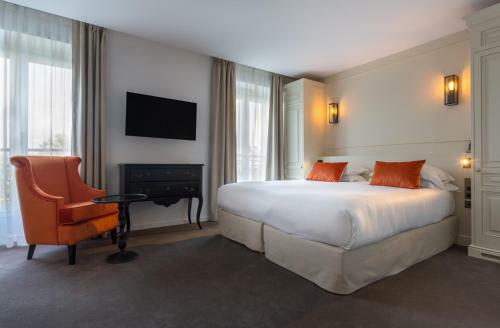 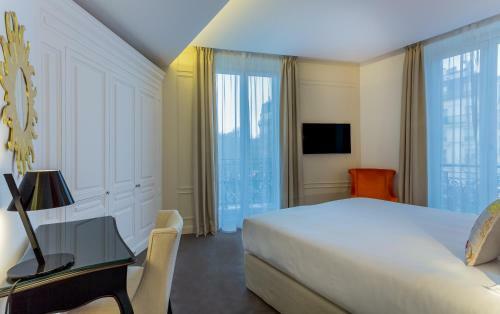 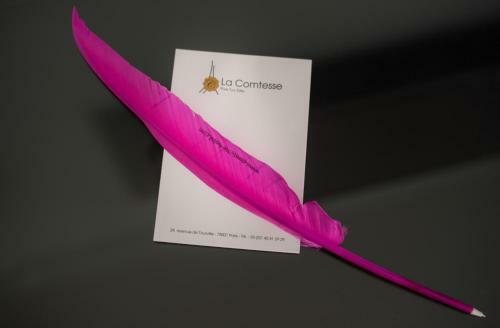 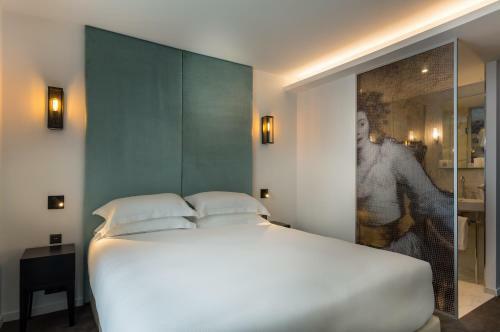 Featuring rooms with Eiffel Tower views and set in a 19th-century Hausmannian building in the 7th district of Paris, Hôtel La Comtesse is steps away from the Champs de Mars. 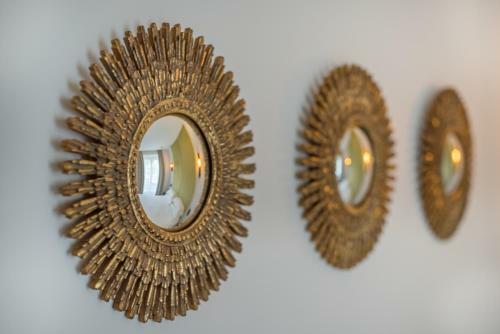 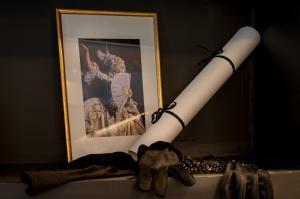 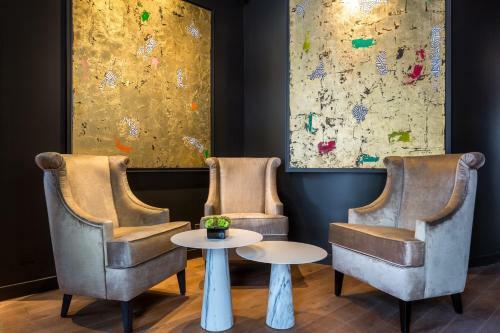 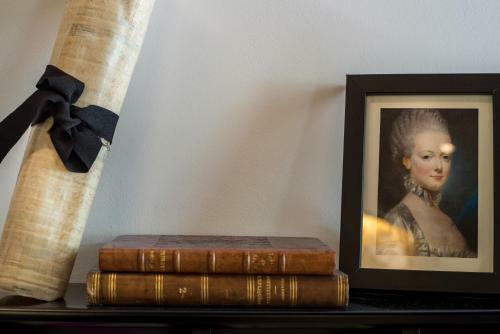 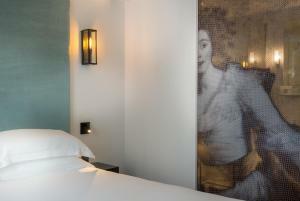 The guest rooms also have a contemporary décor that is inspired by the literary salons from the 18th century. 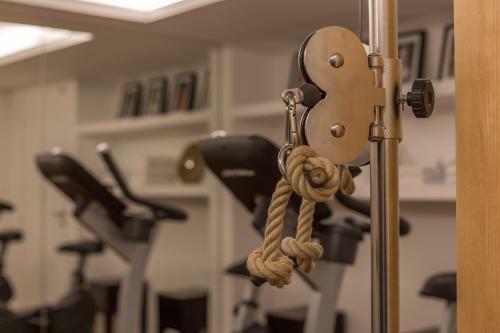 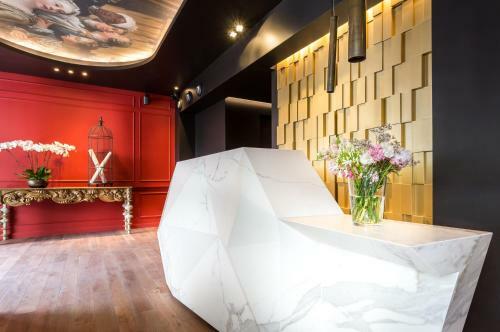 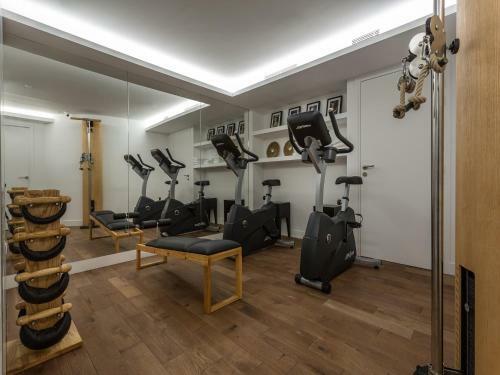 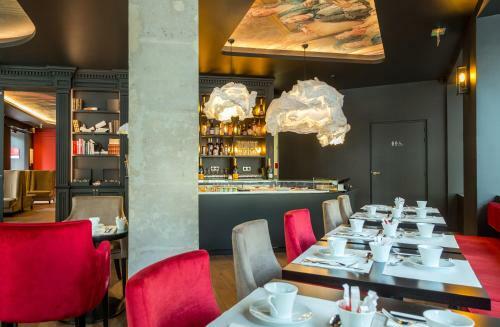 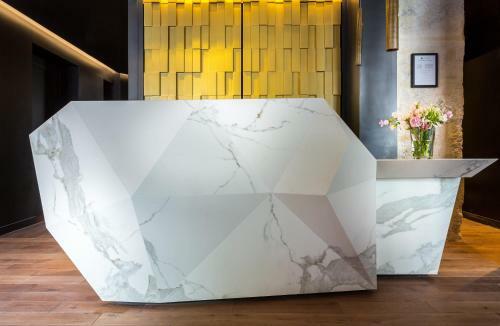 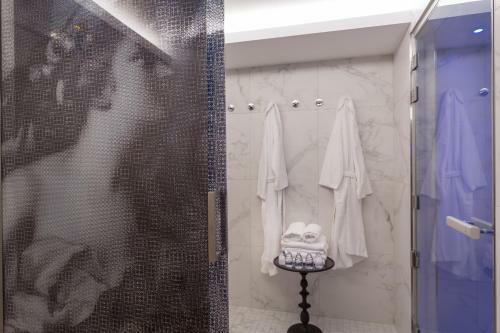 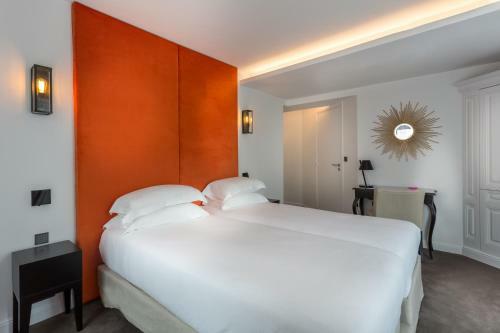 Just 180 metres from École Militaire Metro Station, it offers a fitness room and a hammam. Each room offers a TV with international channels, WiFi access and a minibar. 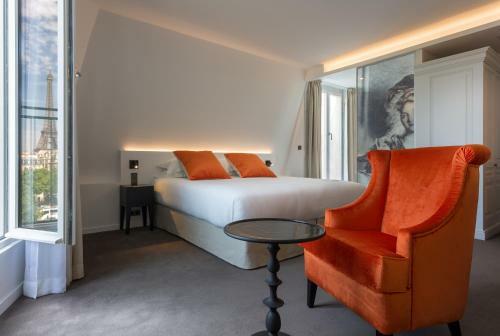 Some of the rooms feature a private balcony and certain rooms are accessible to people with reduced mobility. 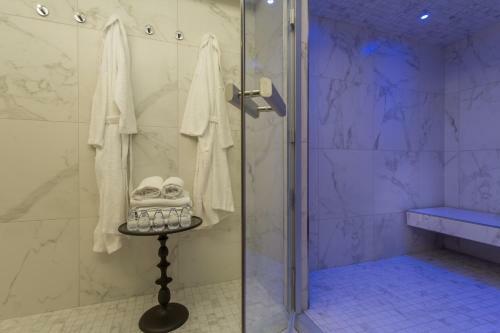 All of the rooms are serviced by a lift. 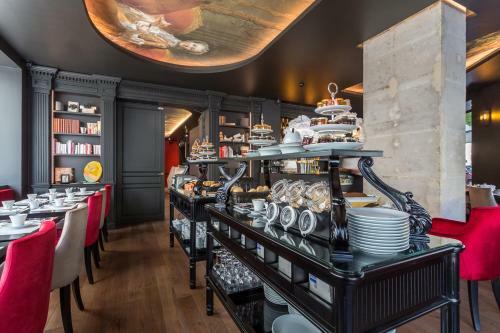 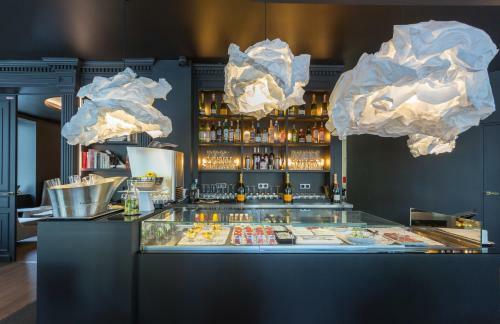 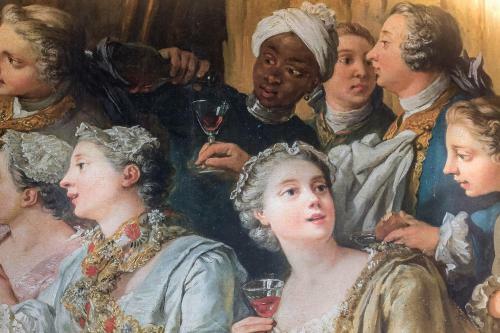 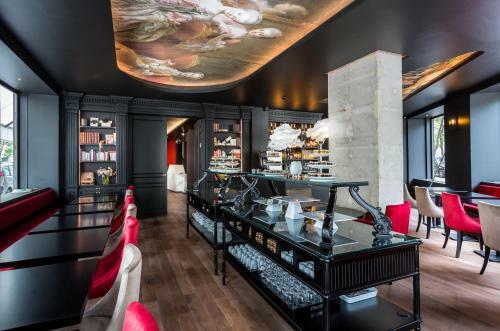 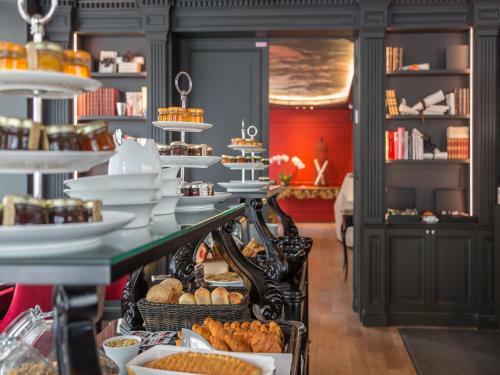 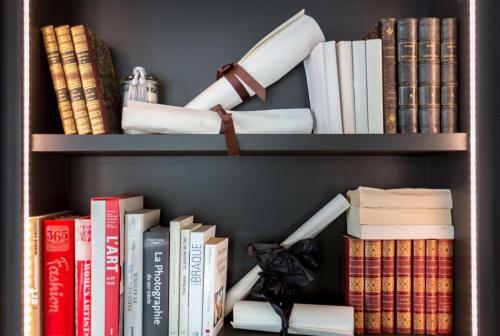 Guests can enjoy a drink or French cuisine in the hotel's café located on the ground floor and featuring a library. 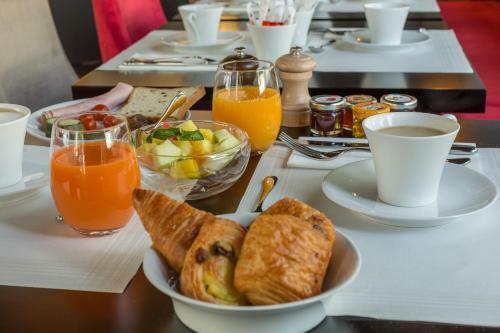 Buffet breakfast including cereals, pastries, dairy products, eggs and fruits is served daily. 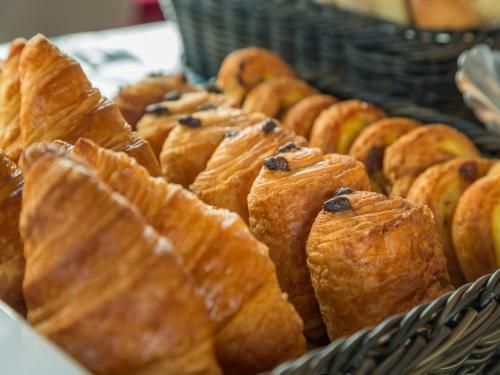 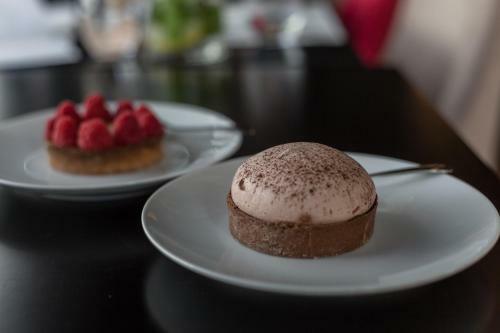 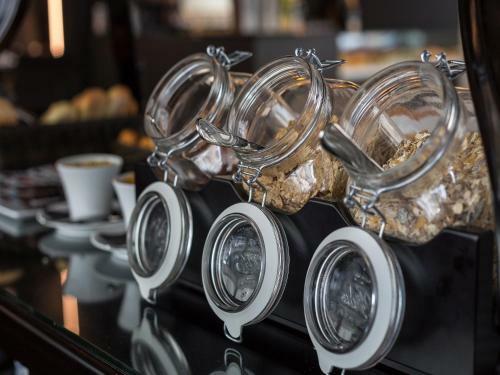 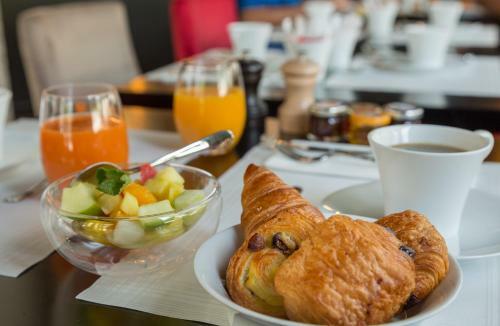 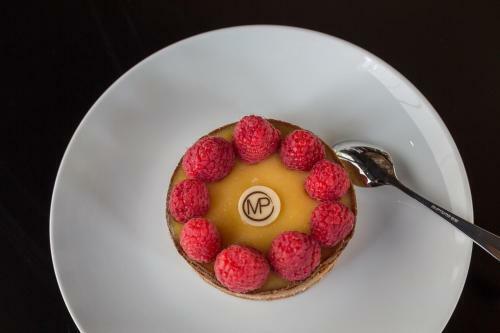 An express breakfast with a hot drink, fresh fruit juice and 3 mini pastries is also available. 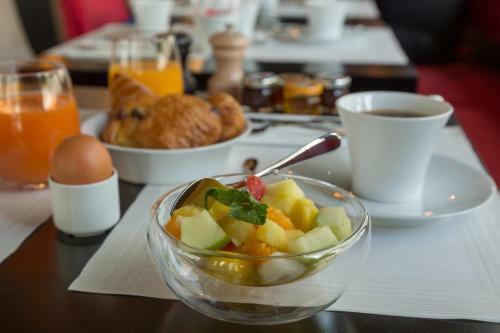 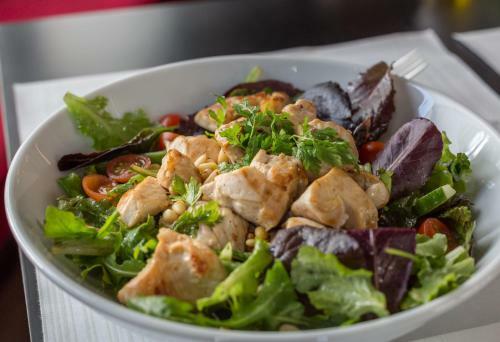 Guests can enjoy a meal made with local French produce at the hotel's restaurant. 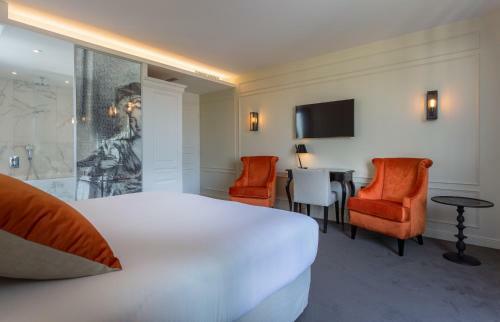 The Rodin Museum is a 12-minute walk from Hôtel La Comtesse and the Eiffel Tower is a 15-minute walk away. 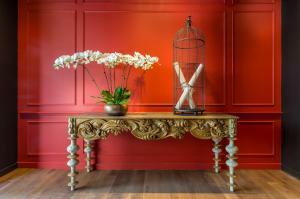 An airport shuttle is available. Please note that the credit card used for booking as well as corresponding photo ID will be required at check in. 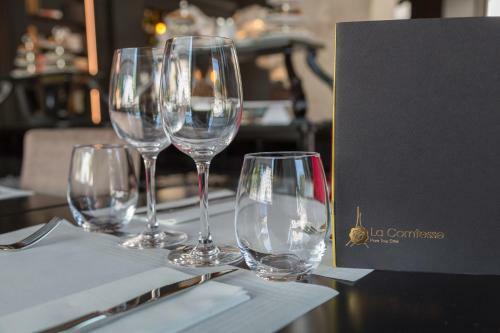 If you want to book the airport shuttle, please let the property know the flight number, the company, arrival date and time, your mobile phone number. 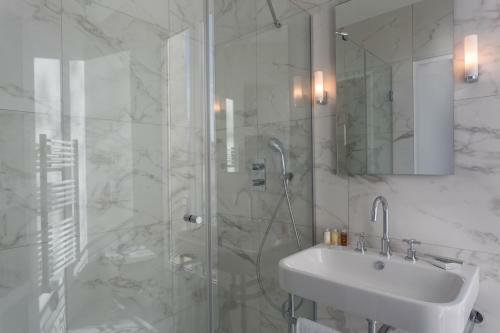 This service is available upon prior reservation (at least 24 hours before your arrival). This double room has a satellite TV, tile/marble floor and air conditioning. 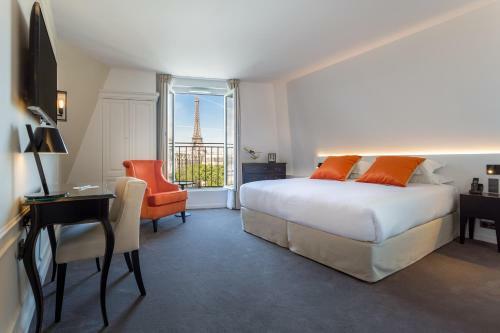 It provides a side view on the Eiffel Tower (need to look on the side by the window) A room with balcony is available at an extra charge upon prior request, subject to availability. 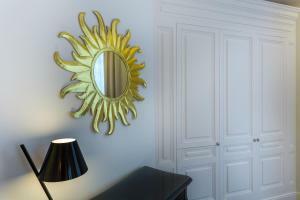 Rate: € 189.00 ... € 658.00; select dates below to get current rates. 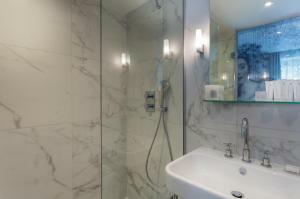 This twin/double room features tile/marble floor and soundproofing. 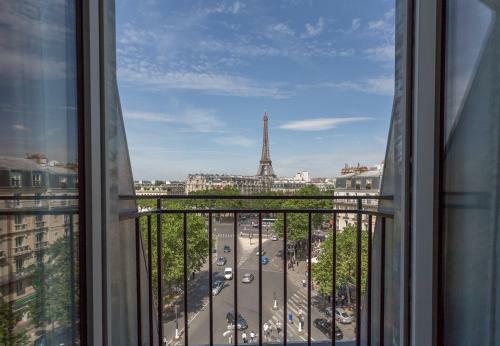 It provides a side view on the Eiffel Tower (need to look on the side by the window). A room with balcony is available at an extra charge upon prior request, subject to availability. This twin/double room has a electric kettle, view and tile/marble floor. 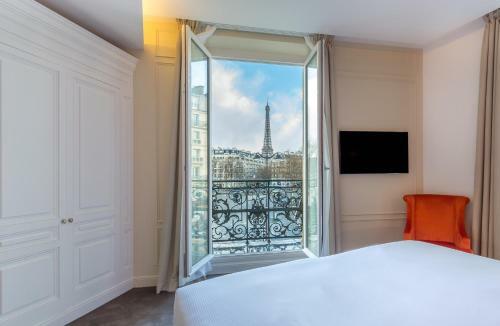 It provides a side view on the Eiffel Tower (need to look on the side by the window) A room with balcony is available at an extra charge upon prior request, subject to availability. 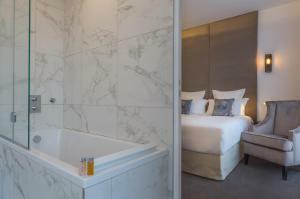 This twin/double room has air conditioning, tile/marble floor and electric kettle. 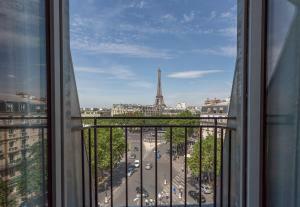 It provides a full view on the Eiffel Tower. 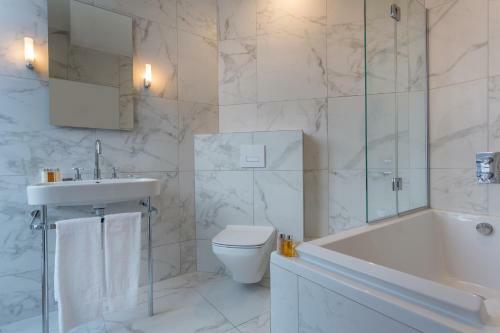 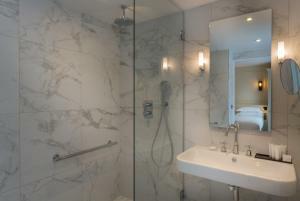 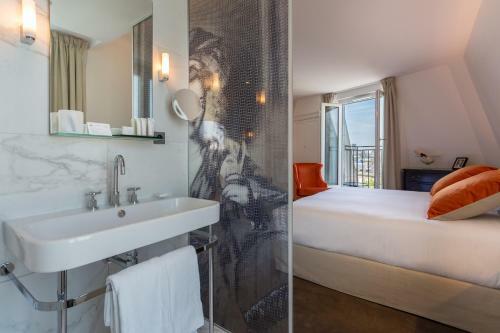 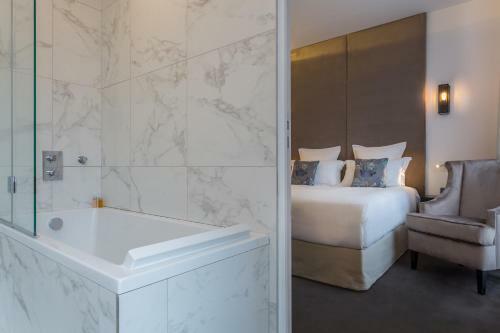 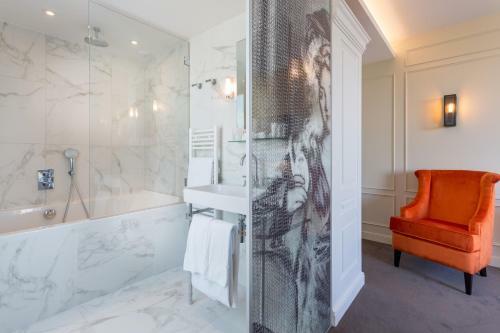 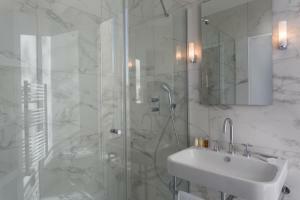 This suite features a balcony, bathrobe and tile/marble floor. 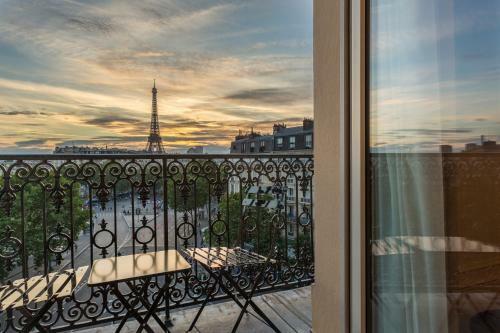 It provides a full view on the Eiffel Tower. 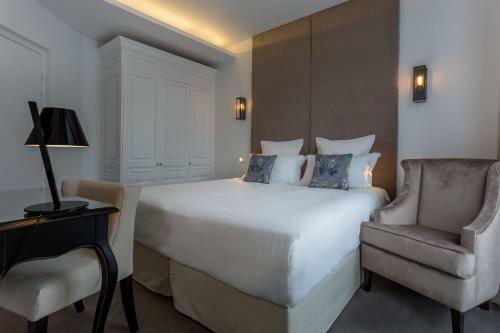 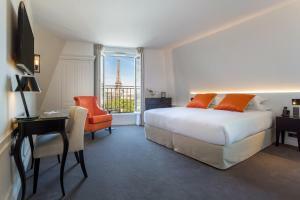 With an Eiffel Tower side view, this room has a flat-screen TV, a seating area as well as soundproofing and minibar. 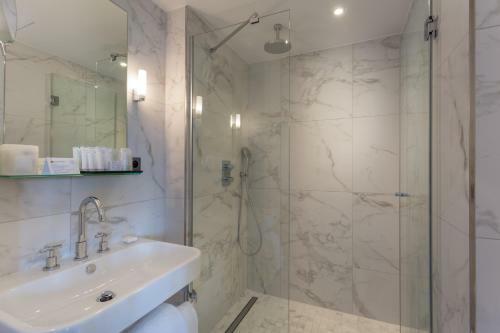 The private bathroom comes with a bath or a shower. 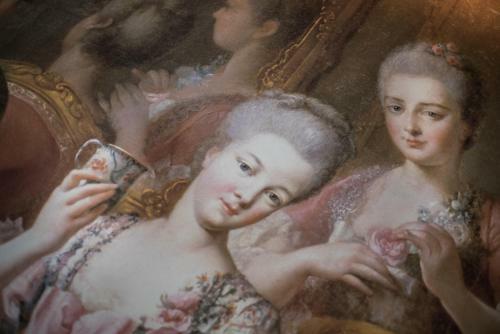 This room is composed of 1 Double Room Baronne + 1 Double Room Marquise. 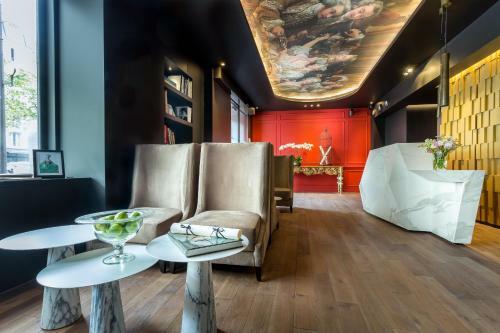 With an Eiffel Tower front view, this room has a flat-screen TV, a seating area as well as soundproofing and minibar. The private bathroom comes with a bath or a shower. This room is composed of 1 Junior Suite Royal + 1 Double Room Duchesse. This triple room has a bathrobe, electric kettle and flat-screen TV. Rate: € 324.71 ... € 357.29; select dates below to get current rates.